.... including a special guest appearance of a certain book! Two years ago today was my cardiac rehab heart assessment, the day that targets were set and when I started my fitness regime. So, it’s seems appropriate to release my latest blog - ‘pushing the boundaries’ …. 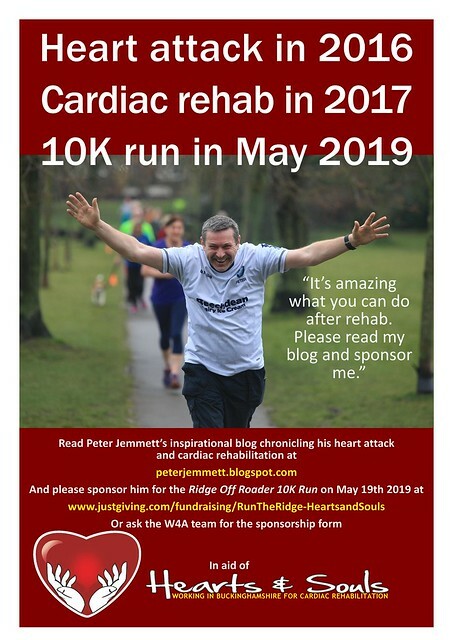 It’s that time of year when I come around with my begging cap, I’m again raising money for HEARTS & SOULS who support the excellent cardiac rehabilitation right here in South Bucks. This time I have set myself a personal challenge, to run my first ever 10K race picking one of the toughest and hilliest courses I could find just because that’s where I had my heart attack!